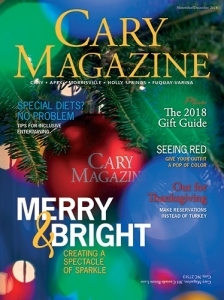 With the holidays upon us, this month’s North Carolina spirit is one that I think of as Christmas in a glass. Krupnikas is produced by Rim Vilgalys, owner and founder of Brothers Vilgalys Spirits in Durham. A traditional family recipe from Lithuania, Krupnikas is a warm, flavorful spiced honey liqueur. 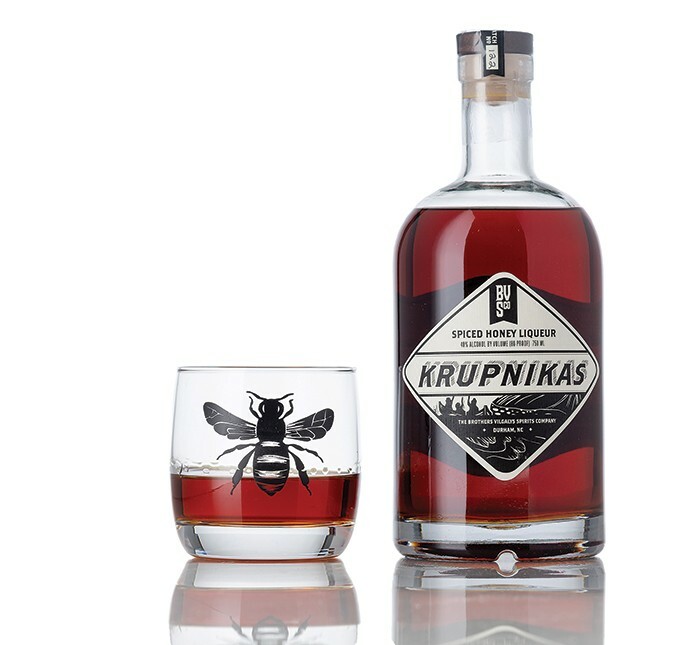 Krupnikas is made with 15 herbs and spices, unfiltered North Carolina wildflower honey, and bottled at 40 percent alcohol by volume (80 proof) with pure neutral grain spirits. Holiday gatherings are the perfect venue for this warming spirit, as it can be enjoyed on its own or over ice, or as Vilgalys suggests, with the bottle passed around a circle of friends enjoying a campfire. The spiced honey liqueur was created by Benedictine monks in the 1500s but quickly became a favorite of nobility in Lithuania and Poland. As immigrants from that region came to the United States, the family recipes for making Krupnikas on their stovetops came with them. Vilgalys began making his version in much the same way, with the goal of being enjoyed by his family and friends. However, once they began requesting more bottles, he knew he was on to something larger. Opening in 2012, Brothers Vilgalys was the first distillery in Durham, and Krupnikas is one of six spirits the company produces. Its wonderful line of flavor-forward liqueurs — Zaphod, Beebop, Beatnik and Jabberwock — are 60 proof, sweetened with raw cane sugar and flavored with whole botanicals, herbs and spices. A holiday highlight is their annual release of Cranberry Krupnikas. This special recipe is usually available in ABC stores in November, but be sure to contact the company (brothersvilgalys.com) for 2018 release dates. This punch is served warm and is a wonderful substitute for dessert after a holiday dinner. Add all ingredients to large pot, and heat for 20 to 30 minutes on low to medium heat. Alternatively, add to a slow cooker, and heat on low for 2 to 3 hours before serving. Ladle into glass mugs just before serving. Melissa Katrincic owns Durham Distillery, the No. 1 Craft Gin Distillery in the U.S. and home of the award-winning Conniption Gin, with her husband Lee. 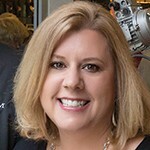 She is also the former vice president of the Distiller’s Association of North Carolina.